The first dance between the bride and groom is a major highlight of the wedding night. The song they dance to usually has a special meaning for the bride and groom, so it is important to choose a song both will love. Deciding on a tempo for the first dance is a great starting point. Once the couple decides on a fast or slow pace, choosing from a genre they both love will be easier. The couple should decide on a genre of music that suits both of them. 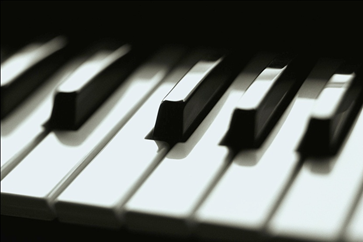 There are many popular genres; from classical to country, that have songs perfect for weddings! A traditional couple may choose to dance to Elvis Presley, while couples that love country might dance to Blake Shelton. Choosing a vintage song is also a great option. Using a parent or grandparent’s wedding song is a unique way to honor a special person or memory, or the couple’s own history. If the couple were high school sweethearts, a popular song from their graduating year is sure to please. Songs that reflect memorable moments are a fun way to connect the couple’s past and their future. Remember that the first dance is an important moment for the bride and groom, but should still be fun! Choose a song that is meaningful and enjoy your special night! Spring is the season for First Communions! First Communions are an important rite of passage and there are many great ways to celebrate them! 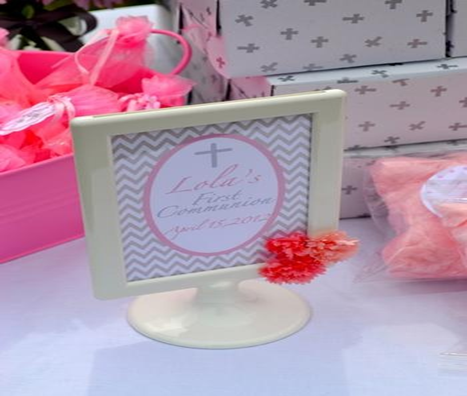 Start off your communion by sending out simple invitations. Classic pink, blue, yellow, or white are fitting for the occasion. The reception following the ceremony is where you can have more fun! 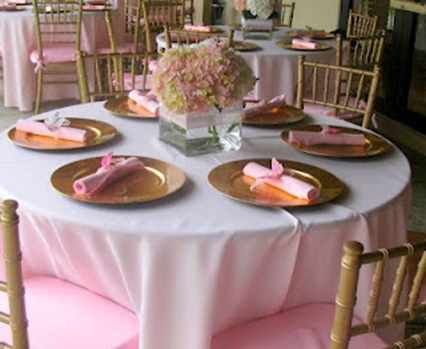 Pretty, simple table designs are perfect for the mixed crowd you will probably have at your reception. If you don’t want a floral centerpiece, a small picture frame with a printed design is a cute way to celebrate a communion! Any color will go well with a white frame, and you can add accents, like sports-themed scrapbook stickers, to suit the girl or boy of honor. Balloons in the color of your choice can also add color to your table without looking too adult. After your meal, you can add some fun with a candy station! Candy stations are a fun way to serve up sweet treats to please all your guests, regardless of age. To finish, try a fun dessert to wrap up the party! Cake designs with a classic cross or congratulations are fitting for the occasion. Additionally, cake pops are all the rage right now! You can try making them at home for a fun project with your guest of honor as well! 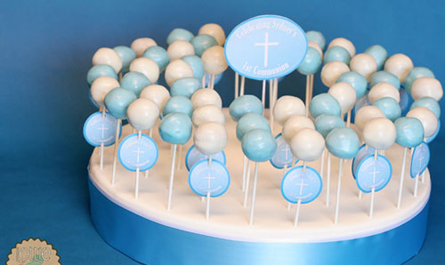 For favors, try an edible gift to take home, like a communion cookie or a molded lollipop! They look adorable and are sure to please the young guests at the reception! Make this day an event to remember! Get Creative with Your Wedding Party by Changing Your Bouquets! Spring is a great time to get creative with your wedding! If you don’t want to get too crazy, try changing up your bouquet! Using unconventional materials for your bouquet is a fun way to make your wedding pop! 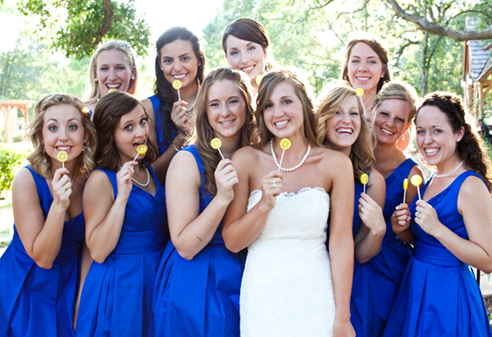 These bright bridesmaid dresses are the perfect accent for a spring or summer wedding, and go beautifully with the lemon lollipops the bridal party is holding! Edible props add a touch of whimsy without being overbearing.